Looking to hire a mini loader? Master Hire has a range of machines available including the Mini Wheeled Loader and Tracked Mini Loader to suit your needs. Also referred to as a Dingo or a Toro, these machines are perfect when it comes to moving and levelling dirt. Mini Wheeled Loader: This machine is compact and manoeuvrable and ideal for tight situations where access is limited. With two models available to hire including the Dingo K9-3 and Toro 22337CP, each offers key standard safety features in addition to a few notable differences with respect to operating weight and load. All mini loaders are reliable, easy to operate and perfect for the narrowest of backyards or tightest landscapes. Furthermore, they all come with a general-purpose bucket on a trailer – we can deliver to you or you can collect at your convenience! Our Tracked Mini Loaders, and Wheeled Mini Loaders are easy to use and do not require a license to operate. Master Hire’s free customer hand over includes a thorough walk through and training to ensure you can operate the machine confidently and safely at all times. 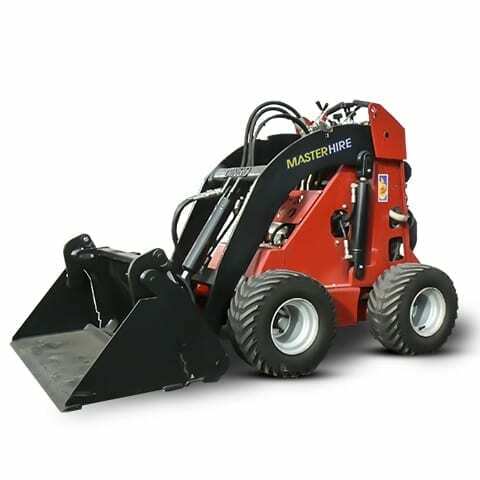 Master Hire offers convenient delivery and pick up options. Speak to our team for delivery rates variant on location. For more information on the range of Mini Loaders available, or to enquire about our rates of hire, contact Master Hire. SKU: dingo. Categories: Lawn Care & Gardening, Mini Loaders. Tags: Dingos, Kangas.